Could You Handle This 20 Pound Hot Chocolate? Drinking hot chocolate has become something of a cultural staple in many parts of the world and there’s literally nothing better than waking up to a warm cup of cocoa on a cold morning or warming yourself up with a cup of the chocolatey goodness on a cold day. 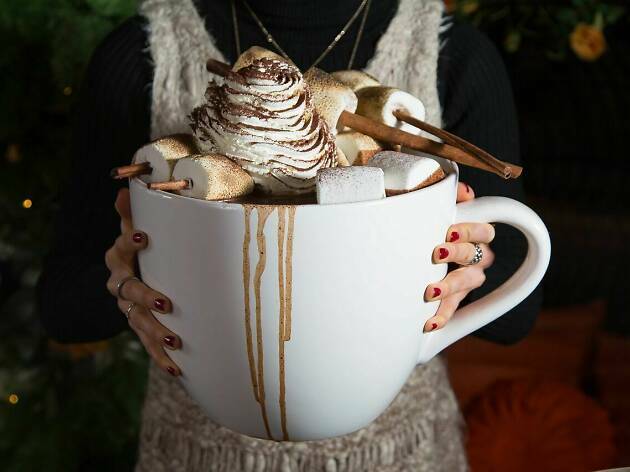 However, a restaurant in New York City’s Midtown Dream hotel has recently created something that can only be described as a gargantuan amount of hot chocolate – the Godzilla of hot chocolates! 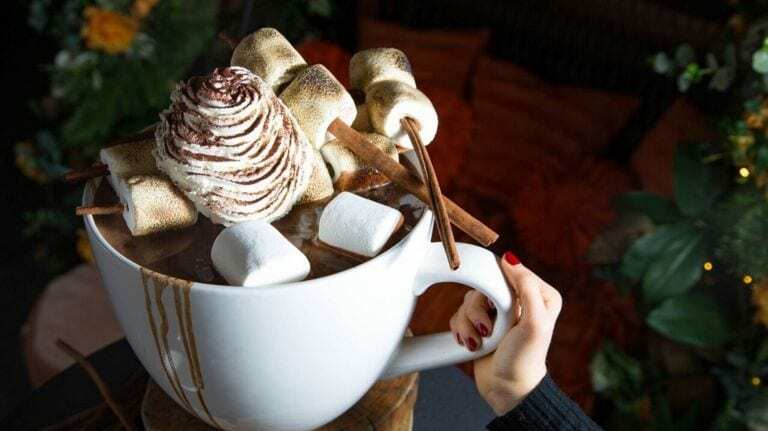 The creator of this crazy cup of chocolate is a chef by the name of Paola Marocchi and it was originally created for National Hot Chocolate day. The cup of hot chocolate weighs in at a whopping 20 pounds – and that’s pure hot chocolate! That much hot chocolate does come at a high price though, and a cup of this much of the warm chocolatey good stuff will set you back a cool $375 per serving! However, Chef Marocchi has made sure that you get your money’s worth as every drop of the stuff is made from Valrhona’s extra bitter 61% hot chocolate and a combination of Jivara chocolate to make it a little sweeter and creamier! 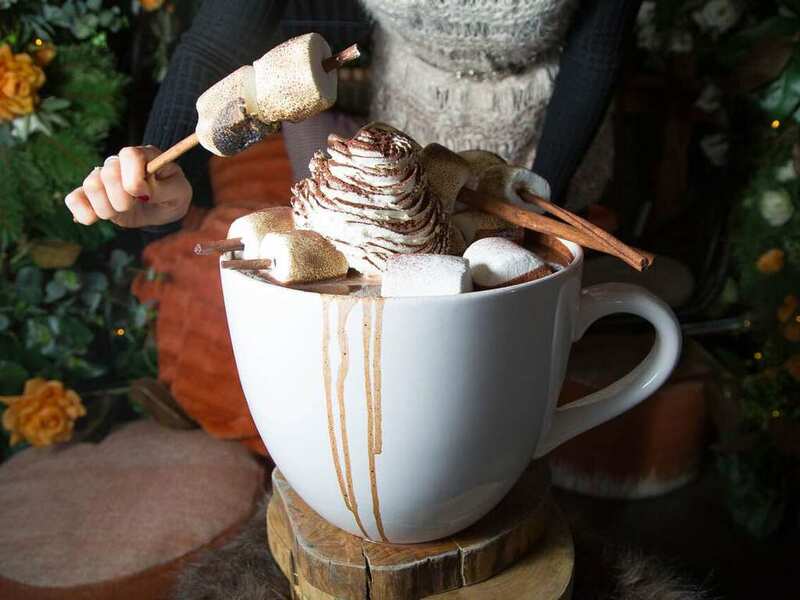 On top of that, the huge cup of hot chocolate also comes with some delightful, camp fire style charred marshmallows, cinnamon sticks, and some homemade whipped cream – if 20 pounds of hot chocolate wasn’t enough to get you drooling already! In order to get your hands on this amazing thing, you have to pre-order your reservation at the restaurant – they recommend around two days in advance to be on the safe side. The cup of hot chocolate can serve up to 22 people, so don’t think that drinking a whole one by yourself is a good idea – that much chocolate will probably put you in a coma before you get through half of it. Don’t say you weren’t warned!